Phlebotomy training can fetch you a high pay job. 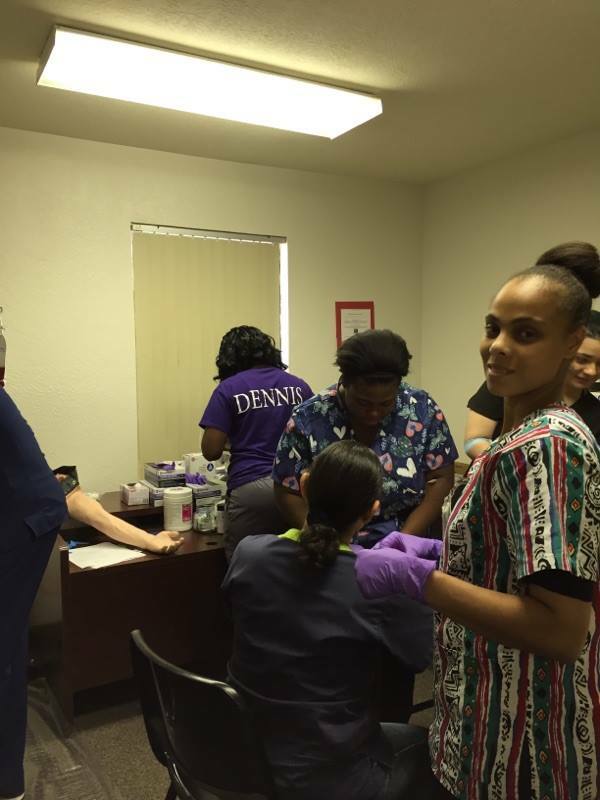 Consider earning a phlebotomy certificate at texashealthtech, Beaumont, Texas. One of the fastest growing job market is healthcare. Phlebotomy is highly demanding for entry-level career and better-paying jobs. A phlebotomist is a health care professional who collects blood for testing so that the blood can be analysed in clinical laboratories. As a phlebotomist, hand-eye coordination is as important as having compassion. While knowledge about the cardiovascular anatomy and a detail-oriented mind are necessary to succeed in the technical aspect of the job, effective communication skills to deal with patients or blood donors in a high-stress environment is equally significant. Employers tend to hire phlebotomist who are professionally certified or hold a diploma. Training periods vary from as low as ten weeks to up to a year with over two hundred accredited training programs at vocational schools and community colleges across the country. The training period also depends on the location where the phlebotomist wants to get employed, with certain states having more stringent guidelines. At Texas Healthtech Institute you can become a trained phlebotomist in as short as two months. A phlebotomy technician is a crucial part of the clinical laboratory team or a member of the physician’s staff at his offices as he finds employment opportunities in hospitals, medical and diagnostic laboratories, ambulatory services, community health centers, blood donation centers and offices of physicians. Responsibilities include explaining the blood-drawing procedure to patients and donors, collecting the blood and labeling them properly after verifying the patient/donor identity, performing basic point of care testing such as blood glucose levels and preparing the blood for advanced testing procedures. According to the US Bureau of Labor and Statistics, the median annual wages for a phlebotomy technician in May 2015 was $31,630 with the top ten percent earning over $45,000. http://www.bls.gov/ooh/healthcare/phlebotomists.htm . In the state of Texas, Beaumont area, an entry-level phlebotomist earns around $27,000 annually while someone with an experience of ten years could earn upwards of $36,000. According to a study conducted by US News, phlebotomy ranked among the top 20 health care support jobs in 2015. With an unemployment rate of only 1.6% in this occupation as compared to the national average of 5.5%, phlebotomy ranks high in job security. While phlebotomists held 112,700 jobs across the country in 2014, according to the US Bureau of Labor and Statistics, 28,000 more jobs will be created in this profession over the next decade. Phlebotomists mostly work full-time, but flexibility of schedule is common at blood donation centers. As a phlebotomist is already knowledgeable about the basic human anatomy, physiology and biochemistry, further training can help broaden career opportunities. Some choose to obtain specialized certifications after several years of experience to find employment as collections phlebotomy specialist, registered phlebotomy specialist or patient service technician specialist. In the recent years, the demand for donor phlebotomy technicians is at an all-time high with blood donation centers thriving nationwide and experienced phlebotomists earning upwards of $48,000 annually. With each new skill learned, the wage rises dramatically in this field as most phlebotomists are adept at drawing blood from various parts of the body as well as administering intra-venous drips by the time they end their career. Entry-level healthcare jobs often open up a career path to complex jobs in this industry as phlebotomists can further their career by getting certified as a medical laboratory technician. Not only does it offer job security and a higher pay, a medical laboratory technician has the satisfaction of working closely with pathologists and dealing with the clinical spectrum of the industry. Opportunities are available even outside the realms of the typical healthcare industry with phlebotomy technicians choosing to work in the field of marketing for companies which manufacture laboratory equipment and medical supplies. Those who are willing to pursue advanced healthcare jobs like those of medical assistants or registered nurses often gain hands-on experience by training as a phlebotomist first. Obtaining a nursing degree through online and hybrid courses while still working as a phlebotomist allows an individual to pursue their quest for a flourishing career but not compromise on their job security. With the baby-booming population ageing, employment opportunities for phlebotomists as well as other medical professionals are rising rapidly. Thus, phlebotomy can act as the gateway to an exciting and promising career in the medical field.